how much for the family room (4 persons)? – What is the check-in date & check-in time? – What is the check-out date & check-out time? how far is mph to waterfront casino and hotel? is transpo accessible? Do you still have available family rooms for January 20-22? How much is the room rate? Thank you! – What is the check-in time on JAN 20? 2pm? – What is the check-out time on JAN 22? 12noon? – how many children? 0? – how many matrimonial beds ? – how many single beds ? Do you have available family room on dec. 20? ?my son will celwbrate his 1st bday in your hotel..and i want to book a family room for us to stay in..how much is family room?? – We sent you an email. Please check. Hi po. Can you send quotation for family room that good for 6 adults & 2 children (14 & 12). – What is the check-in time on OCT 18? 2pm? – What is the check-out time on OCT 22? 12noon? Can I request for an additional bed to cater a total of 5 persons? How much? Thank you! Reservation for Aug. 30 to Sept 4 Meron po bang available? – What is your check-in time on AUG 30 ? – What is your check-out time on SEP 04 ? – Please provide heights (not ages) of the 7 children. Thank you for your interest. Please provide the following information so we can prepare a comprehensive answer. – What is your check-in time on AUG 26 ? – What is your check-out time on AUG 30 ? – Please provide heights (not ages) of the 6 children. Then bale, 3 adult 2 teen agers (17 and 16 yo) and 2 kids (8 and 6 yo) – pwede po bang isang family room lang plus 1 extra bed? Thank you for your interest. Please email us the following information so we can prepare a comprehensive answer. Please provide the heights of the 8 year old and 6 year old. What is your check-in time on APR 11 ? What is your check-out time on APR 15 ? Hi! Is your family room available on December 31? Thank you. Hello, my 3 kids and I are planning to check in on Dec 28, if we get the superior room 3 pax do we pay for the baby as well? And is the pool available all the time? mph Hi! I would like to inquire if how much will it cost if i checked in Jan.2-Jan.4 2016? standard room, no food. Do you have any discount rates, if I will book this month? number of persons – 1 or 2? The email address you provided is invalid. If by jeepney – if just 1 ride, you have to walk about 1.1 km from hotel to flyover first. If by jeepney – 2 rides, you have to walk about 450 meters from hotel to first jeepney stop first. Please visit Google Maps for more details. Check in Date: December 24, 2016. Check out Date: December 26, 2016. Thank you. For the payment, can we just visit your frontdesk soon? 3pm check-out has 50% late check-out charge. To avoid late check-out charge, please begin check-out procedures at 1pm. Please decide between 1pm and 3pm check-out so that we can give you a quotation. 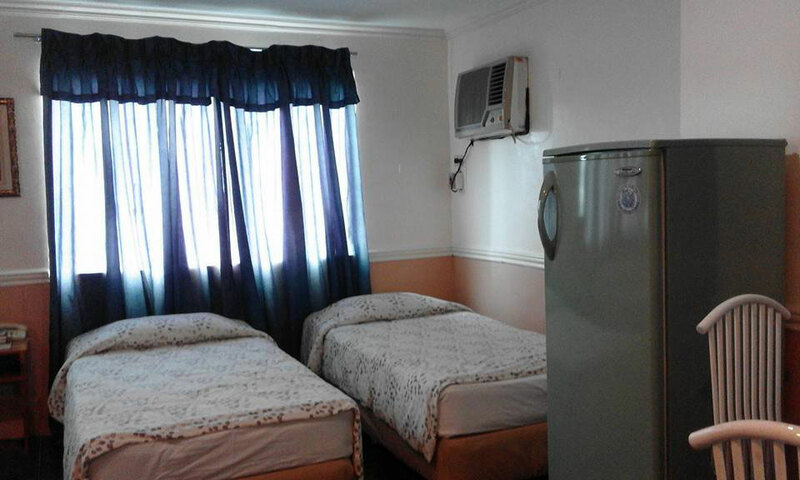 Family Room w/ Extra Bed (no breakfast) is 2000 pesos per night. Hi! I already reserved for a family room (4pax) without breakfast using the reservation form. I just wanted to make sure it will not be overlooked. Hi! For your family room, what’s the charge for extra person? how far is the hotel to waterfront hotel and casino?? There are two Waterfront Hotels. The one in Mactan and the one in Cebu City. We are near the one in Cebu City. We’re planning to rent a family room, can you allow our pets into the room? we have 3 small shih tzu’s with us when we check in. I am sorry. Pets are (not) allowed in our rooms. They can stay in the (covered) driveway/parking area. Must be leashed or caged. hello! how much is a family room per night? Is this hotel near to the bus terminal? How much for quad sharing room? both matrimonial bed only. travel date is on nov. 23-26? is family room stl avail from May 24 (1pm)- May 30 (6am)? for 4 persons. thanks. All our rooms have refrigerator. Bathtub (limited). Economy, Standard & Deluxe Rooms do ( not ) have bathtubs. number of persons – a couple? 2 persons only? 1 matrimonial bed or 2 single beds? Do you have availabke room for family? 6 adults and 1 kid? do you have available room for 7 pax on april 19 to 22? how much po? Hi! what is your rate for a family room good for 2 adults, 3 adolescents, and 1 child? Check in will be April 21, 2016 and check out April 24, 2016. Hi, I want to ask if you have available room for four adults? Check in date is on December 5 until december 8. Thank you. Hi i wanted to ask if you have available room for 4 adults +2 kids for january 16&17? I will wait for your reply at my email (hidden) thank you! How much ia your room for family. 4 adults and 2 kids.?? Pls do reply to.my facebook or.email. its for dec 9 to 12. We need more information. Please check your email. I am sorry. All Family Rooms are occupied right now. Hello! I’d like to inquire if a Family Room is available on December 24-Jan2. Thanks! hi gud day… do u have available family room (8 adults + 2 kids) on November 27-29, 2015? Thank you and how much is the rate. Do u have a room for 7 pax? On sept 12 to 14? We do (not) have 7-person room. We have stayed at your hotel few years ago and wanted to know if your Family room is available for this date, Dec.7, 2015-Jan.4,2016? How much is the monthly rate for this room? Hi! Good day! Can you give me the computation for 4 days 3 nights stay for 1 family room A. 5 persons. It Will be on Oct. 2-5.thanks. If you 100% expect to be assigned Family Room A, we can(not) process your reservation. Room number is only assigned during check-in, not during reservation. Hi! Do u have 2 family room available on Dec.29-Jan. 2 & on Jan. 3-8. How much is the rate? hi. I would like to know if family room is available for August 18, 2015? Is there an available family room a with one matrimonial bed for 2pax on july 31, 2015?. Please be advised that you cannot pick which Family Room. 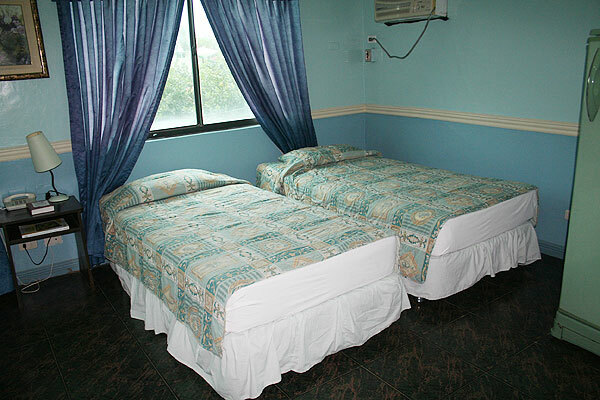 Family Room has 1 matrimonial bed and 2 single beds. Good for 4 persons. (1) Family Room for July 31 (2pm check-in) to August 1 (1pm check-out) is available (now). It may not be available (on July 31) unless you have a reservation. Is there an available family room b with one matrimonial bed for 2pax on july 31, 2015?. Hi, do you still accept booking for a family room for tomorrow June 7-9? Hi! Is there any available for this month of July 23 check out will be August 11,2015, two adults and two kids? please e-mail me soon as possible. Hi good day! I just want to express my feelings about what happened my wedding last 5/28/2015. The venue was good, the food was yummy the staff was accomodating, but we are so disappointed with the wedding coordinator, she was so late, she was supposed to be there at 5am but she came almost 7am..everything was a mess…and we are so stress because the work that she was suppposed to do was done by the bride which is me myself and my family.. Thank you very much for your feedback. Managers Maricor and Stephen said that they will speak to the wedding coordinator. I just want to inquire if do you still have availability of condo in Cebu city? How much is that cost? And can you send a photos of it! And is it ok if we can view your condo? Hoping for your responds. Thanks and good day! Please check your email. We sent you two emails. Room Check / View – only possible if there are vacant condos. How much your rate good for 6 pax? ETA May 14. ETD May 15? Can you please quote how much for 4 adults 2 kids on family room A on this dates? There’s no discount if only two persons stay in MPH Family. It’s cheaper to stay in a Standard Room for May 3-4. 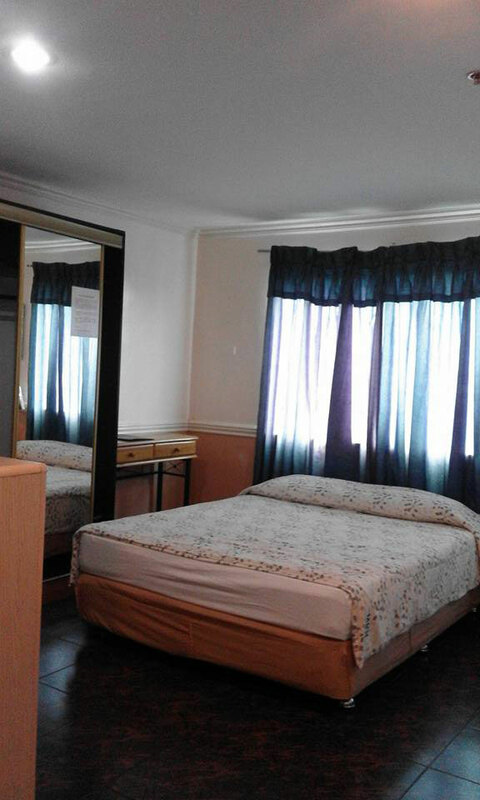 5 persons in MPH Family is 1900 + 450 = 2350 pesos per day-night. With breakfast for 8. Tax already included. Hi. Can you send me a quotation for a family of 5 which includes 2 children ages 8 and 10. We are palnning to visit Cebu on Apr. 13-16, most probably. Thank you. Do you have family rooms for May 22-May 27? How much do you charge for extra bed or persons? We are planning to book a hotel that can accommodate 6 adults and 3 children and your hotel seems to fit our needs. Thanks in advance. Hi tried calling numbers but got no reply. Do you have a family a or b room for the 3rd to 5th June please ? Thanks dennis. Right now, around 2:30pm on June 3 (Tuesday), MPH Family Room B is still available for those dates. Family Room A is currently occupied. Please be advised that it takes 1-2 business days to process email reservation requests. do you have an available room come June 6 (arrival 4pm) to June 7 (dep 6.30am) for 3 adults and 1 child (4yo)? Available. The discounted daily rates listed on the hotel website are up-to-date. For estimation, we also need check-out date and check-out time. I would like to inquire if you have any FAMILY room available on March 13? ETA at the airport is 23:15 (11:15pm). We would only be staying for a night, therefore, we will checkout the next day. We are composed of 6 adults and a 2-year-old boy. Considering all the number of people and the time of stay, how much would be the TOTAL COST? We have to recommend that you just get 1 Family and 1 Standard Room. The cost of 2 extra beds is very close to the cost of MPH Standard Room. Your check-in time is so late that we have to require advance payment in order to reserve one of the Family Rooms for you. There’s only two Family Rooms in the entire hotel. I would like to inquire re room rates for standard room, i shall be arriving end of the month in cebu with my husband and 5 year old daughter, how much will it cost per day inclusive of taxes and other expenses? Please also review the hotel policies, especially about the security deposit. Reservations are for room type only. Specific rooms or room numbers are only assigned during actual check-in, not during reservation. This means we cannot guarantee nor promise that you’ll get Family Room A. The email address you gave us is incorrect. Do you still have rooms available for Jan15-19? Family with extra pax. Please send quote. Thanks. Discounted daily rates are listed on the hotel website. 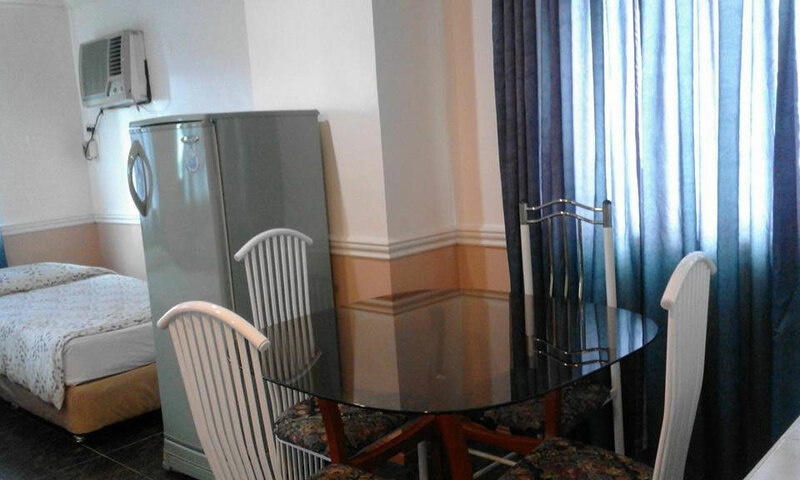 Inquiring a room good for 5 pax by Sept 30-Oct 2, 2013. MPH Family is a 4pax room. You’d need an extra bed for 5 persons. 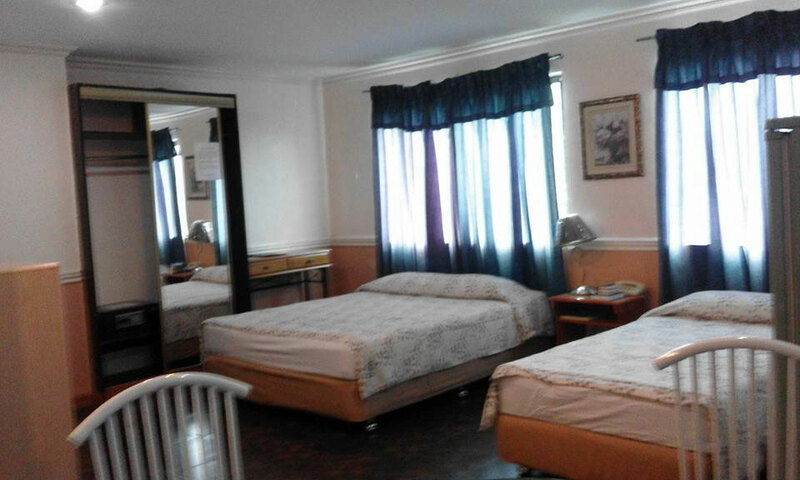 Extra bed is 450 pesos per person per night (w/ breakfast for 1). Please be advised that the extra bed is a folding type with a thin mattress. Hi., id like to have a reservation for FAMILY room A and B and the ECONOMY room or SUPERIOR room. How much would it cost including tax on Dec 3-5? We are about 10-11 adults, 1 5yrs old, 2 kids under 2 yrs old..
Do have an available family room 2 for 2mrw til 9? 2 nytz lng po. I would like to reserve for 1 family room check in: August 20, 2013 and check out: Auust 22, 2013. We are family compose of 4 adults and 1 kid. With breakfast please. Is there any deposit required? I also sent mail to your address. We have sent a reply to your email. If you don’t see our email, please check your spam or bulk mail folder. I would like to reserve Room A for April 20, 2013. Are the rates still 1900 inclusive of tax? Please give me more info. I would like to get a reservation of the Family room,i will be arrived on 23rd of April and i plan to stay there for a week. Please also informed me price of the Birthday package,20 childrens and 30 Adults. Let me know how to transfer the payment and how much it cost? Package already includes “50 PAX Heavy Meal”. We have sent you an email (with more information). If you don’t see our email, please check your spam or bulk mail folder. Hi, I would like to reserve Family room A and Family room B. Is it available? We will be staying for 2 nights – April 27 and 28. Please email me the details. Thank you. Only Family Room B is (still) available for your dates since there’s a monthly guest staying in Family Room A. And please quote the rates. pls email me back asap. April 19 (2pm check-in) to April 22 (1pm check-out) counts as 3 day-nights. We have sent you an email (with more info). If you don’t see our email, please check your bulk or spam mail folder. 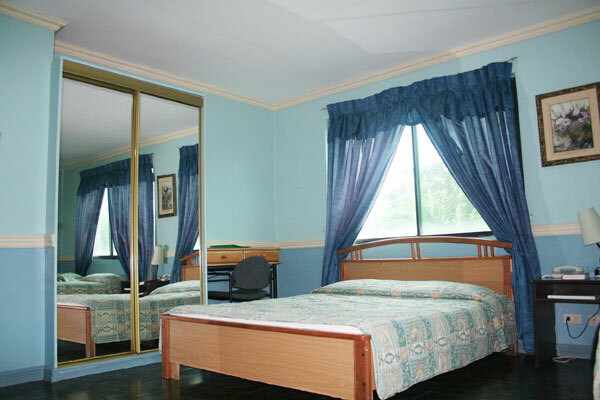 i would like to book 1 standard room and 1 family room this coming february 13 to 16, 2012. how much all in all? Feb. 13 (2pm check-in) to Feb. 16 (1pm check-out) counts as 3 day-nights. 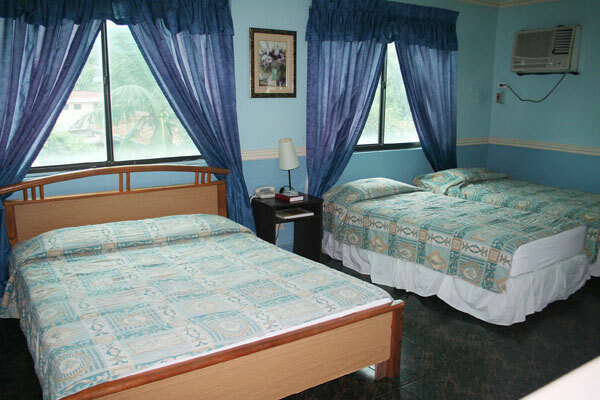 1 Standard and 1 Family for 3 day-nights would cost 9000 pesos (with breakfast for 6). Tax already included. In addition to the daily room cost, please also bring additional 500 pesos (in cash, per room) for the incidental expenses deposit. It is requested at check-in and refunded at check-out (minus extra expenses, if any). You don’t have a reservation yet. We’re just giving you the computation now. I’m sorry, but 5pax in MPH Family will require extra bed. MPH Family Room is good for 4pax automatically. Additional persons will require additional beds. Please be advised that the extra bed is a folding-type bed with a thin mattress. Instead of multiple extra beds, it’s better to get extra room instead. For six persons, we recommend 1 Family Room and 1 Standard Room. 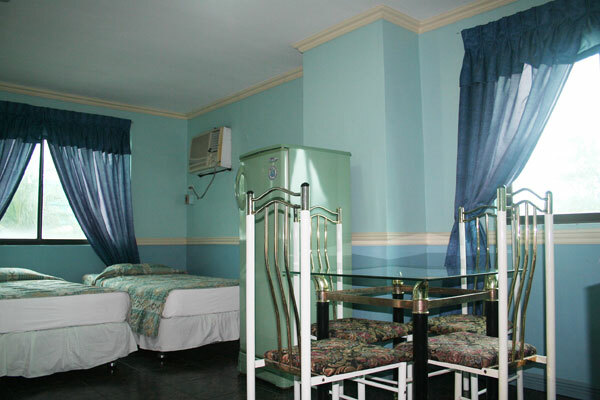 For seven persons, 1 Family Room + Extra bed and 1 Standard Room. hello again! i have inquired earlier regarding availability of Family room from january 16-19, 2012. please include room rate. thank you very much.have a nice day! During Sinulog, only the tariff rates are available. Tariff rates are the red-colored crossed out rates that you see on our website. We have also sent you an email. 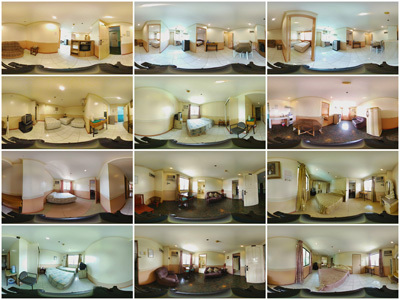 will any of these room be available during January 16 -19, 2012? There will be 3 adults and 2 children below 6yrs old to check in. thanks. ask ko lang poydi mi mag cook sa room ninyo sa family room? There’s a gas range in Family Room A but you’d have to buy a (full) tank of gasul. Usually, only monthly guests cook in our rooms. All MPH Rooms have private comfort rooms. 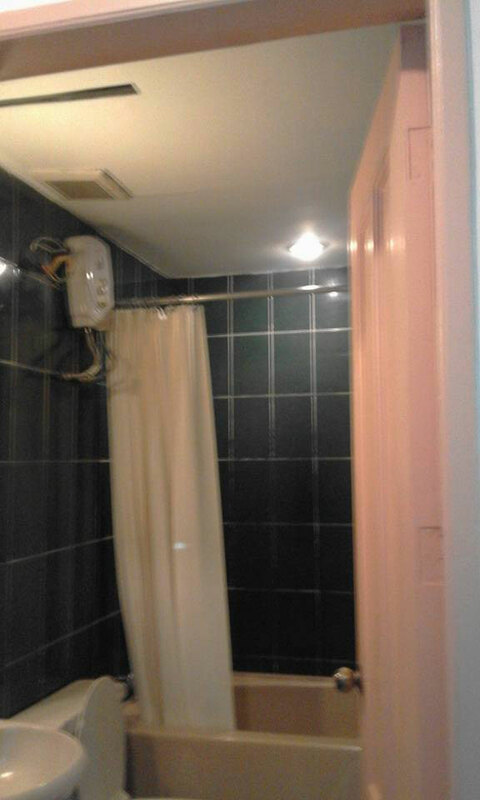 There is a bathroom in each room. Bottom middle of Family Room A pictures shows door to the bathroom. For Family Room B pictures, you can see that there is smaller room within the room. That’s the bathroom. i would like to inquire for 1 family bed room for 2 days? how much would that be? With breakfast for 4. Tax already included. deposit. It is requested at check-in and refunded at check-out (minus extra expenses, if any). March 7 (2pm check-in) to March 10 (1pm check-out), 2013 counts as 3 day-nights. Hi, I would like to make a reservation for a Family Room (4 person) on October 12, 2012. Can we do early checkin and early out as well? I am sorry, but we cannot accept any more reservations for MPH Family for October 12. Please consider 2 Standard Rooms instead. For early check-in, please provide an hour. Hi, may i know how much would be the rate for 5pax on Oct 6-7, 2012? Thanks! My family would have a vacation from Oct 11-13, do you have 2 family rooms available on those dates? We have sent a reply to your email address. We can only accept one more Family Room reservation for those dates. Please consider reserving 1 Family Room and 3 Standard Rooms instead. hi, can you give me a rate for 3 days 2 nights stay for 1 family room. 6 persons. this would be on sept 20-22? thanks. September 20 (2pm check-in) to September 22 (noon check-out) counts as 2 day-nights. 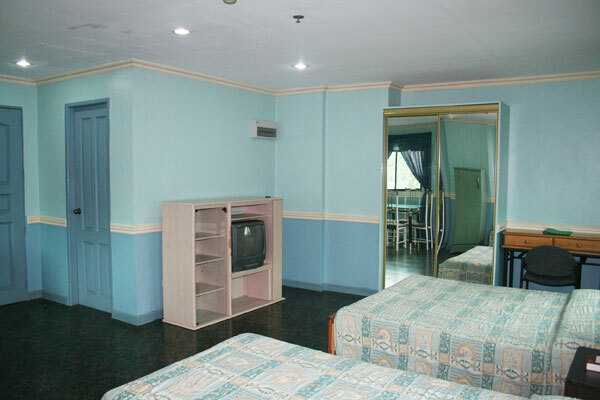 Just the Family Room (4pax) for 2 day-nights is 2900 pesos (no breakfast) to 3800 (w/ breakfast). Please be advised that our extra beds are a folding-type bed with a thin mattress. Instead of Family Room with 2 extra beds, please consider one Family Room and one Standard Room. The cost is very similar and much more comfortable for the extra 2 persons. Not to mention, your group of six would have two private bathrooms instead of just one bathroom. We would like to visit to Manila from 24-Oct-2012 to 27-Oct-2012 for one nigth.We are 9 people (3 familes) :1-st family 3 Adults, 2-nd family 2 Adults and 1 Child 11 years old, 3-rd family 2 Adults and 1 child 12 years old. We would like to book 2 Family rooms with and 1 Vice Presidential Suite. How much money do rooms cost for our dates? October 24 (2pm check-in) to Oct. 27 (noon check-out) is 3 day-nights. 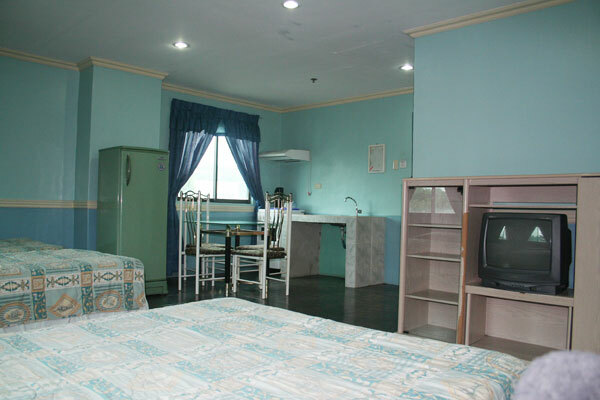 Both Family Rooms and the VP suite would cost 16950 pesos (w/ breakfast), 13650 pesos (no breakfast) for 3 day-nights. Please be advised that you have to bring an additional 500 pesos (in cash, per room) for the incidental expenses deposit. It is requested at check-in and refunded at check-out. This reservation would a require a 1 day-night deposit in advance. There’s no MPH Family Room with 2 matrimonial beds. It’s 1 matrimonial bed and 2 single beds. Do you have 2 family rooms available for Oct. 27?